REUSE: If Marin is successful, plastic bags would be banned, paper would cost a nickel and reusable bags would look even more attractive. Note: This article has been revised on Jan. 6 and 8, 2011, to reflect the . Stephen Joseph has demanded that we run his personal responses to this article, which can be found . Stephen Joseph is the attorney and spokesperson for a particularly litigious Bay Area group called Save the Plastic Bag Coalition, and he's gruff and nippy when he answers the phone, without so much as a customary hello. Talking to him doesn't get easier as the minutes tick by. "You're wasting my time," he says outright. "If you haven't read the website, you're wasting my time." In fewer than seven minutes, this conversation has become ugly. It will soon end, as abruptly as it began. The next question asked is about the fact that the group he represents doesn't list the names of any of its members on the website. Why doesn't the Save the Plastic Bag Coalition even name the companies that fund it? "All we want," he'd said, "is that the environmental truth is told." The truth, according to court documents, is that the Save the Plastic Bag Coalition is a group of plastic bag manufacturers and distributors that have used the California Environmental Quality Act (CEQA) to sue several cities and counties in California over ordinances that ban single-use plastic grocery bags. In the North Bay, Marin County will likely be the next defendant to face legal action should county supervisors pass a plastic bag ordinance Jan. 4. At a Dec. 14 meeting, the Marin Board of Supervisors unanimously approved the language for an ordinance that would ban plastic bags and add an additional 5 cent fee to paper bags. At this point, the language has only to be adopted after the new year begins. The ordinance would not go into effect until 2012. Joseph says he plans to ask the county to complete a costly environmental impact report before they pass the ordinance. Deputy county council, David Zaltsman, said he has been in contact with Joseph but has not yet received any official request for an EIR, while county supervisor Charles McGlashan remains firm. "Well, he can ask for an EIR," McGlashan says, "but we're not going to do one. This is a categorically exempt issue. We think we are on very solid ground, legally." For Marin County, this has been an ongoing effort that began more than five years ago, with the dedicated efforts of McGlashan leading the way. The effort was briefly halted earlier this year when the California Legislature seemed poised to pass a more sweeping bill to ban plastic bags statewide. That effort failed and, in fact, resulted in a law that prohibits California retailers from adding a surcharge to plastic bags. Despite these setbacks, McGlashan says the county plans to make its Green Business Certification Program more stringent by requiring businesses to be completely single-use-bag-free within the next three years. 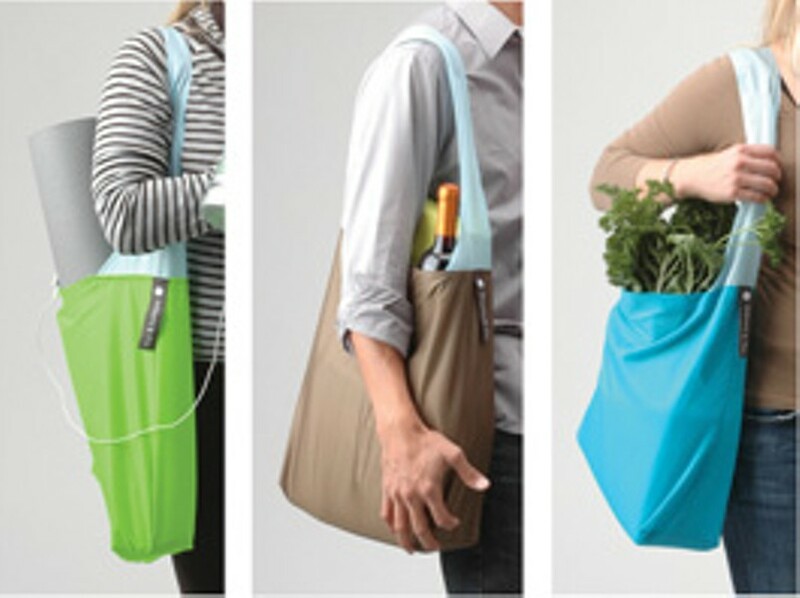 Banning plastic grocery bags is highly fashionable among cities wishing to "go green." San Francisco, naturally, was the first U.S. city to do it, in 2007, and the idea quickly seeped out into the rest of the state. Since the initial ordinance in San Francisco, however, many questions have come up concerning the actual environmental impact of banning plastic bags. The suits brought by the Save the Plastic Bag Coalition play devil's advocate to the notion that banning plastic bags is good for the environment. The Coalition, under CEQA, has demanded that cities and counties complete EIRs to prove that banning plastic bags won't do more harm than good. The Coalition maintains that many of the detrimental effects of plastic bags on the environment have been blown out of proportion. "There is a tremendous amount of misinformation out there," Joseph says, pointing to a leaflet from the county of Marin, that reads, "Certain chemicals found in plastics (especially BPA, phthalates, PFOA, PFOS, polystyrene and additives such as antimony, cadmium and lead) are associated with a who's who of modern disorders, including asthma, cancer, diabetes, obesity, premature puberty and reproductive failure." Joseph calls statements like these "fabrications." Further, he says the number of incidents concerning marine animals ingesting plastic bags has been grossly overestimated. Marin County officials are being careful to point out that their ban is not just about plastic, and it's not about paper versus plastic. The ultimate goal, according to McGlashan, is to move away from single-use bags completely. That is what Marin County is banking on when and if its initiative is challenged in court. Shortly after San Francisco's ban went into effect, the cities of Oakland and Fairfax passed similar ordinances. Like San Francisco, they claimed exemptions from completing EIRs on the basis that their new laws would only have a positive impact on the environment. The Coalition to Support Plastic Bag Recycling sued the city of Oakland, and Oakland lost. The ordinance was repealed. Though Marin will likely face a legal challenge, county supervisors are not going into the process blind. "Our belief," Zaltsman says, "is that with the charge on paper bags, people will be forced into using reusable bags. . . . That's what distinguishes our ordinance from others. We believe we are exempt under CEQA, because in addition to the ban on plastic, we also have the charge on paper." His theory is yet to be tested in court. In the above article, it was originally stated that Mr. Joseph hung up on the reporter. Mr. Joseph has disputed this, saying that the call suffered from poor reception and was simply dropped. Considering the fallibility of cellular reception, we agree that the cause of the call's termination is unprovable. The above article also stated that the Save the Plastic Bag Coalition sued the city of Oakland. The city of Oakland was sued by the Coalition to Support Plastic Bag Recycling, a group similarly backed by plastic bag manufacturers.